We are pleased to announce we are a 2018 “Best of the Best” Silver Laurel Dealership! The “Best of the Best” Award recognizes our high achievements and exemplary performance in sales, service, parts, as well as excellence in operations & customer experience. The award recognizes exceptional dealers that rise above all others through achievement and outstanding results. We would like to thank all of our loyal customers who have made this possible and a huge thanks to our employees who have worked so hard and gone above and beyond to make this happen! You are the best of the best! We look forward to another fantastic year in 2019! Why do we treat our customers like they are the most important people in our building? Because they are. We offer a range of amenities for our Mercedes-Benz of New Rochelle customers, and our dealership is home to the largest Mercedes-Benz service facility in Westchester County. We’ve been serving the Tri-State area since 1968 and continue to deliver outstanding customer service as a member of the Pepe Auto Group. We welcome anyone from Westchester, NY. 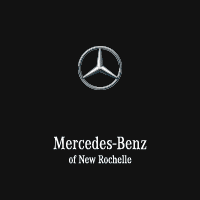 Whether you come to us from New Rochelle, Larchmont, Mamaroneck, Harrison, Yonkers, Mount Vernon, Bronx, Pelham or elsewhere, you won’t find a more expansive and diverse inventory than the one at Mercedes-Benz of New Rochelle.While we specialize in Mercedes-Benz C-Class, E-Class and GLE models, we maintain a rich inventory of new S-Class and pre-owned M-Class models, among others. Our knowledgeable staff members can also guide you through your multiple First Class Lease or ownership options, including Mercedes-Benz financing and the Rising Star College Graduate Program. We can also provide you with information on our multiple Mercedes-Benz new car special offers, pre-owned special offers, Mercedes-Benz Fleet Program Benefits and even parts, service and accessories specials. There are so many perks to being part of the Mercedes-Benz of New Rochelle family; stop by to experience a different auto-buying atmosphere and attitude towards Mercedes-Benz sales. With nearly 50 years in the business, we pride ourselves on being experts in both automotive and customer service.